A high class prostitute, known as tayu, and her young assistants, kamuro. Kamuro were usually bought from their parents when they were between five and nine years old. 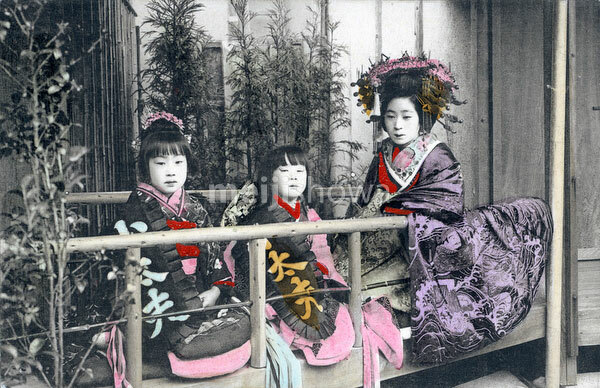 An oiran usually had two kamuro who were taught special cultural skills. Although the practice sounds horrifying today, the girls were usually well-cared for, and often married above their original social status, resulting in a much better life than they could have had with their parents.